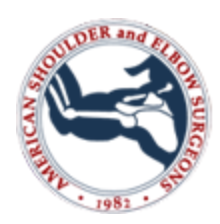 anchor removal in shoulder surgery. Am J Sports Med, 2010;38:1706-10. Petre BM, MD, Grutter PW, Rose DM, Belkof SM, McFarland EG, MD; Petersen SA. J Shoulder and Elbow Surgery, 2011;20:213-218. Biomechanical Comparison of Reconstructive Techniques of the Acromioclavicular Joint. 2009: Johns Hopkins Grand Rounds: Combat Orthopaedics. Podium presentation. 2004: Anatomic Acromioclavicular Reconstruction: A Biomechanical Comparison of Reconstructive Techniques of the Acromioclavicular Joint. Podium presentation. Detroit Academy of Orthopaedic Surgery, Troy, MI. May 10, 2004. 2002: The Accuracy of Distal Posterior Interosseous and Anterior Interosseous Nerve Injection. A tool for pre-operative outcome assessment for wrist denervation. Podium presentation. American Association for Hand Surgery Annual meeting, Kaui, Hawaii. January 8-11, 2003. 2008 Army Commendation Medal recipient for meritorious achievement and meritorious service during Operation Enduring Freedom Jan 3, 2008 to May 17, 2008 Forward Operating Base – Salerno, Afghanistan. 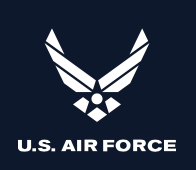 2008 Air Force Commendation Medal for outstanding achievement and meritorious service to the United States Air Force. 29 September 2004 – 15 July 2008. 2008 US Army Combat Action Badge in recognition of Soldiers personally engaged by the enemy.